I'm super excited about today's post! It seems makers have been making collections just for my interests or something. 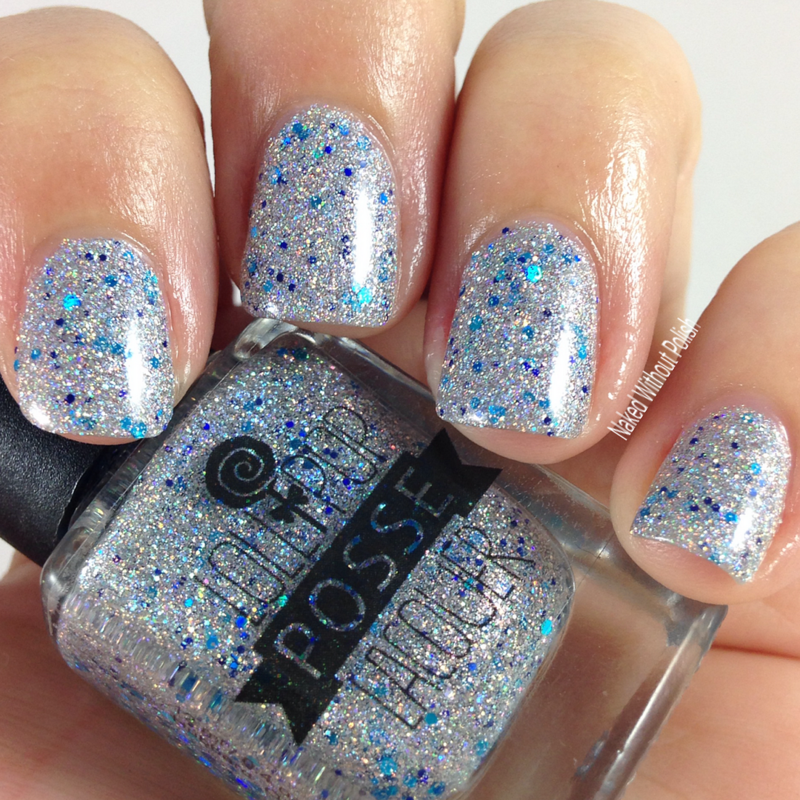 Lollipop Posse Lacquer has created this beautiful 7 piece Wicked Little Collection inspired by the movie Hedwig and the Angry Inch as well as the Broadway Show of the same name. If you're not familiar with either, look into it. It's a great story with some fantastic music that will either make you smile, laugh, or cry. 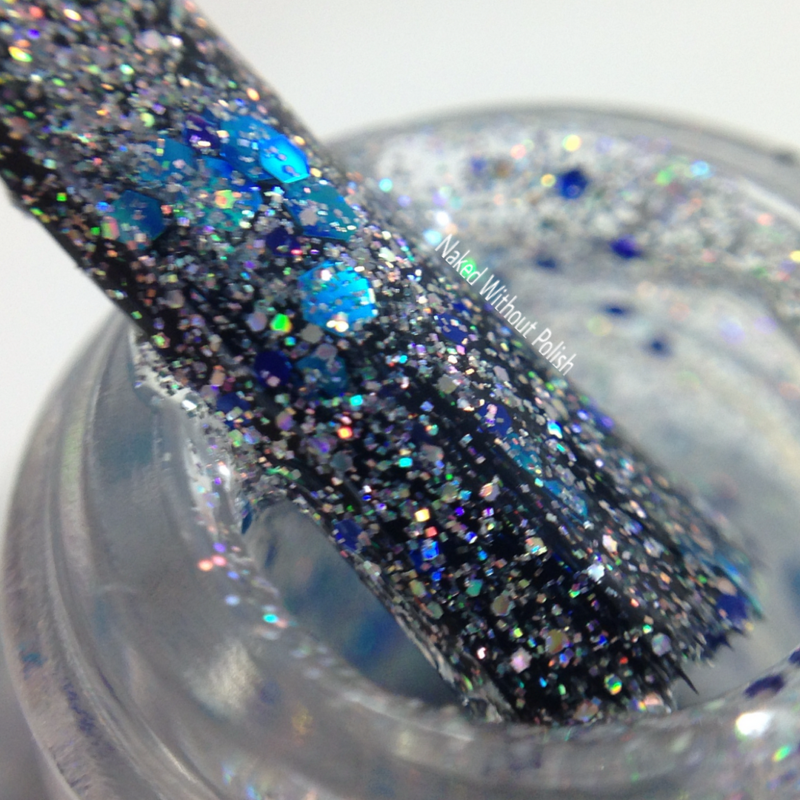 There's a lot of glitter too so you can see how it would have easily inspired a beautiful collection. 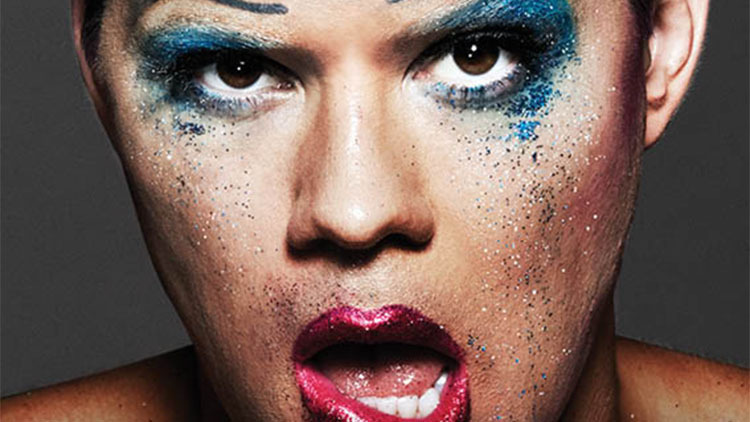 Be prepared to have fun and get covered in glitter! Blood and Graffiti is named after a line in the song Tear Me Down. 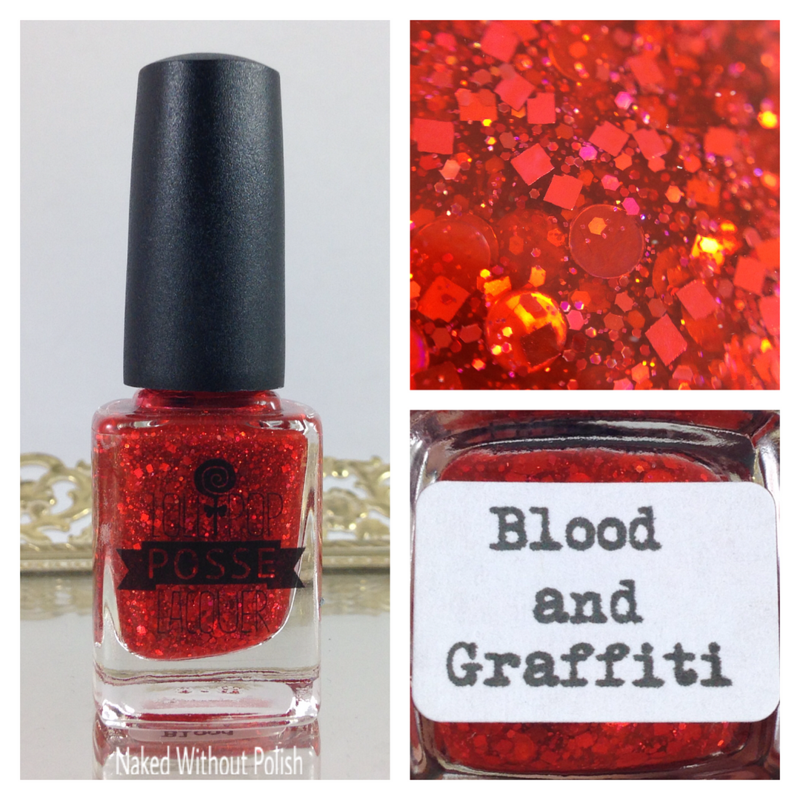 Blood and Graffiti is described as "a blood red jelly base filled with fiery red holographic glitters in several sizes and shapes". Shown is three coats of Blood and Graffiti with top coat. 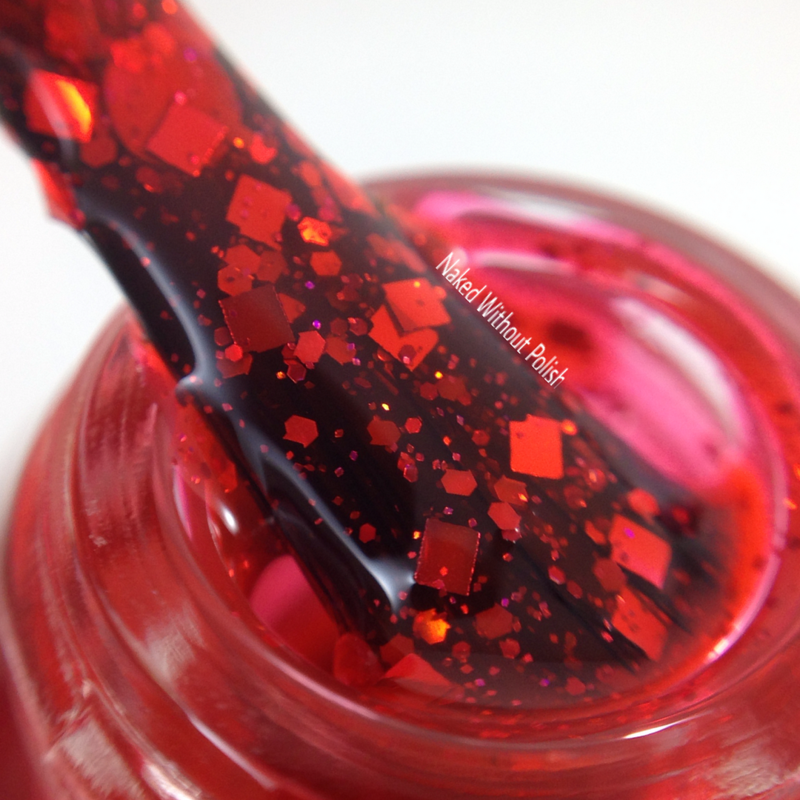 Blood and Graffiti is squishy goodness in a bottle. 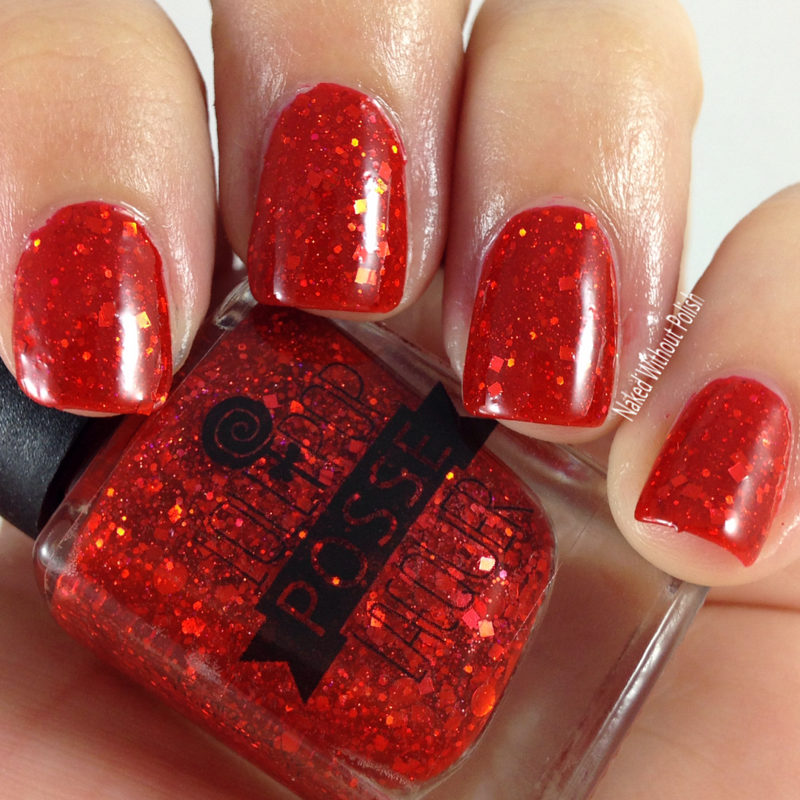 I imagine this beauty was inspired by Hedwig's famous red, glittery lips. I love her take on it. 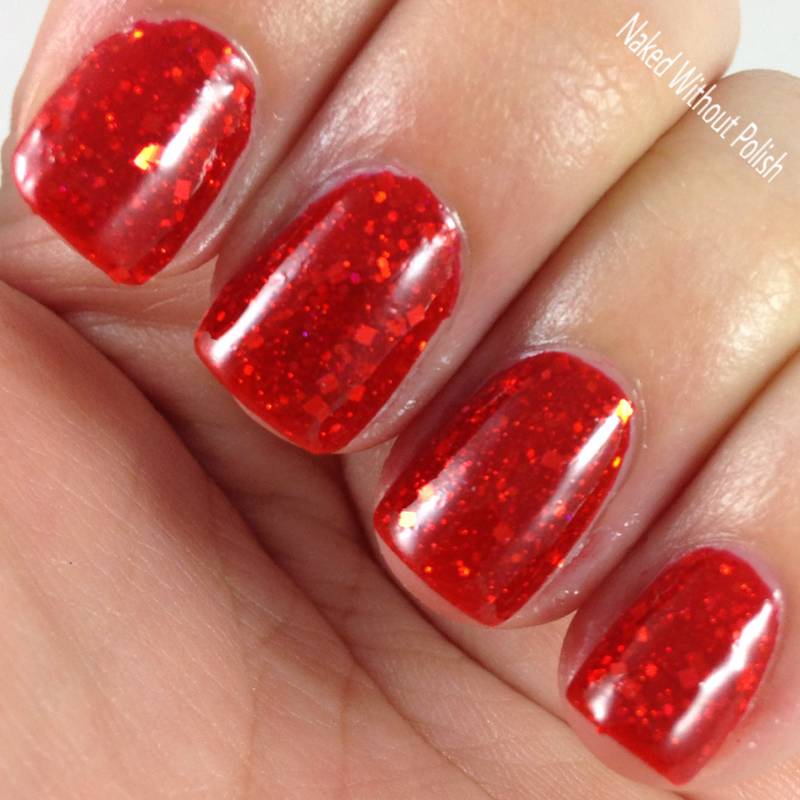 This polish has a buttery application and opaque in three coats. A Flood of Wind and Rain is named after a line in the song The Origin of Love. 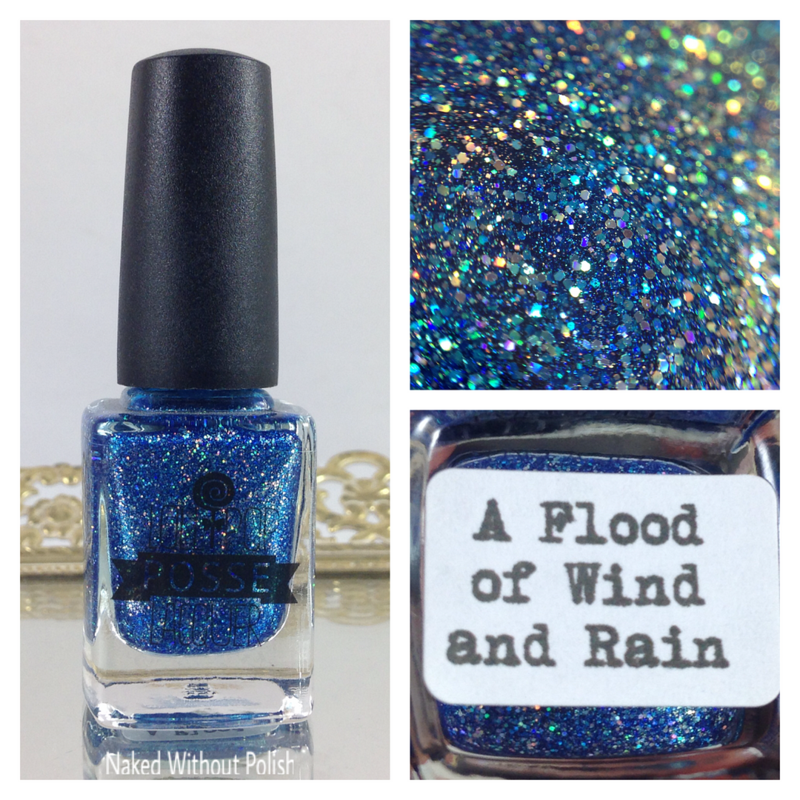 A Flood of Wind and Rain is described as "a richly pigmented, true-blue crelly packed with linear holo and silver holographic glitters in several sizes". Shown is three coats of A Flood of Wind and Rain with top coat. A Flood of Wind and Rain just might be the perfect blue! 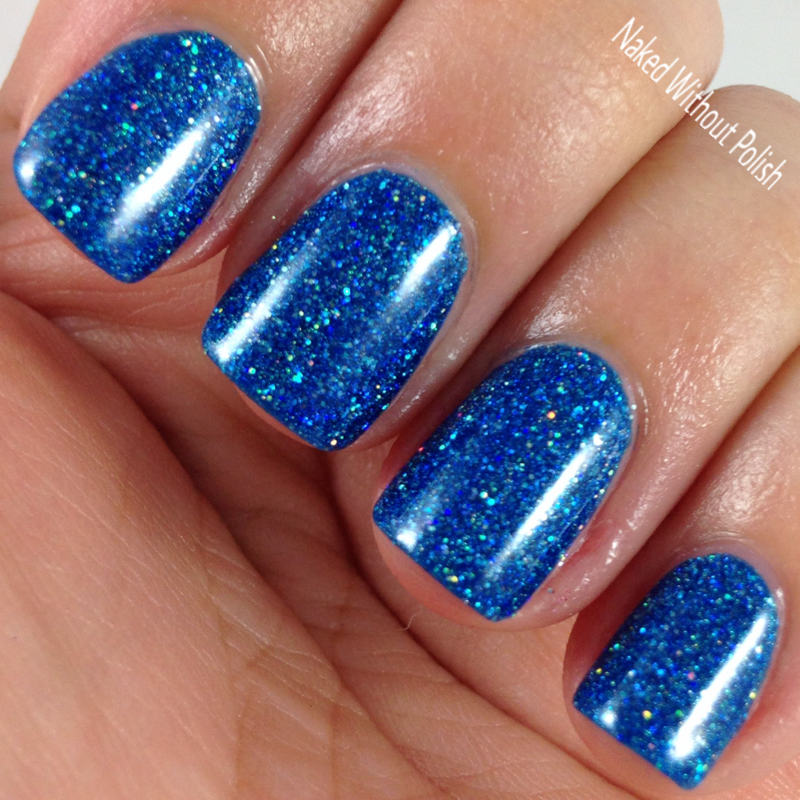 Gorgeous color, tons of sparkle, really...what more could you want?! NOTHING! Beautiful application! 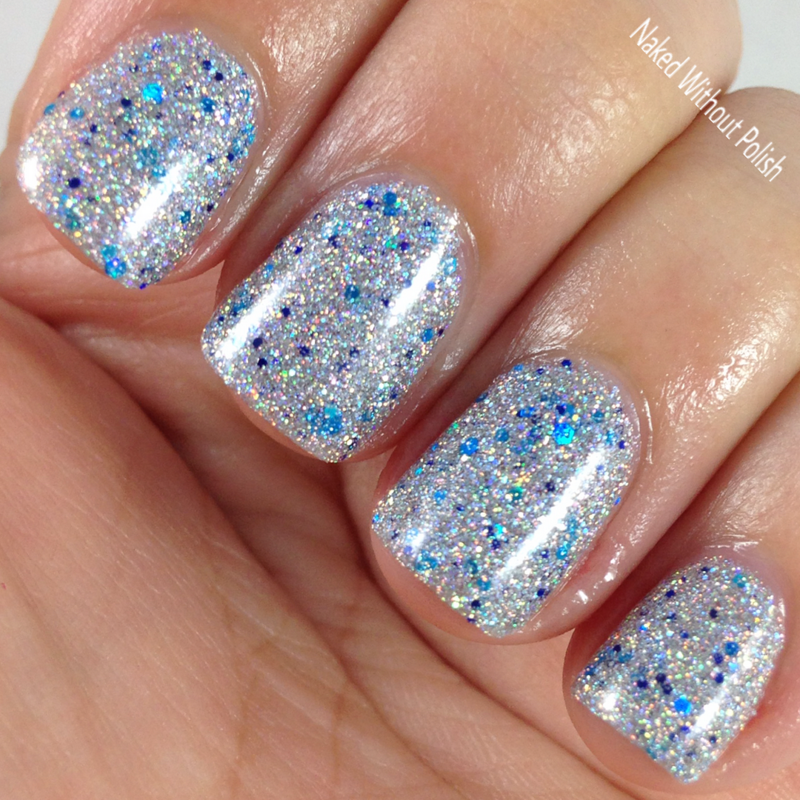 You could get away with 2 coats, but I'd do three anyway for all that extra glittery goodness. Licorice Drops and Jelly Roll is named after a line in the song Sugar Daddy. 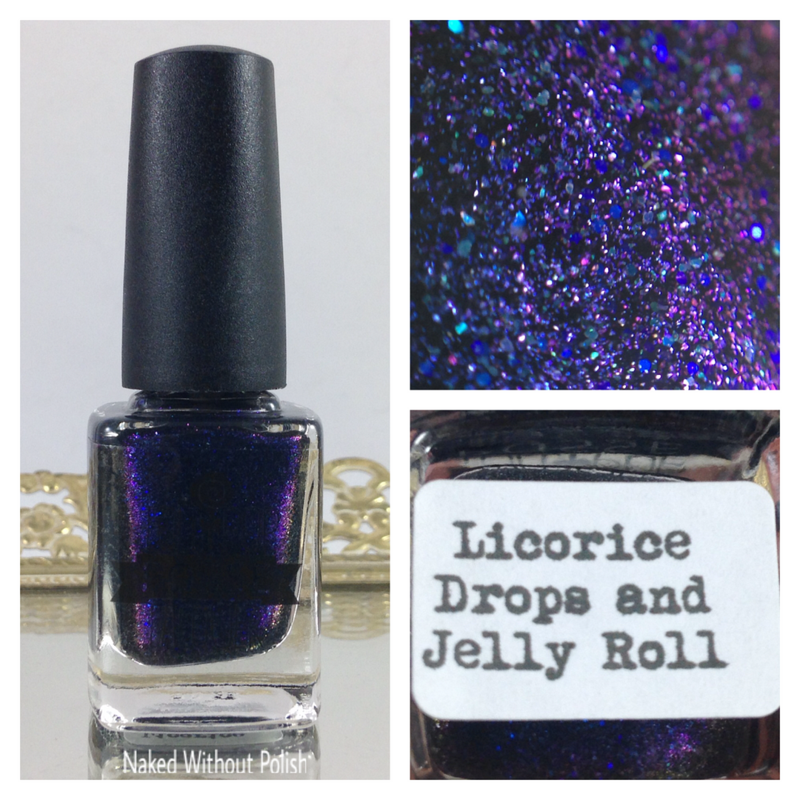 Licorice Drops and Jelly Roll is described as "a black polish that shines with navy to purple to blue shifting flakies, purple iridescent micro glitters, and shimmer". Shown is two coats of Licorice Drops and Jelly Roll with top coat. 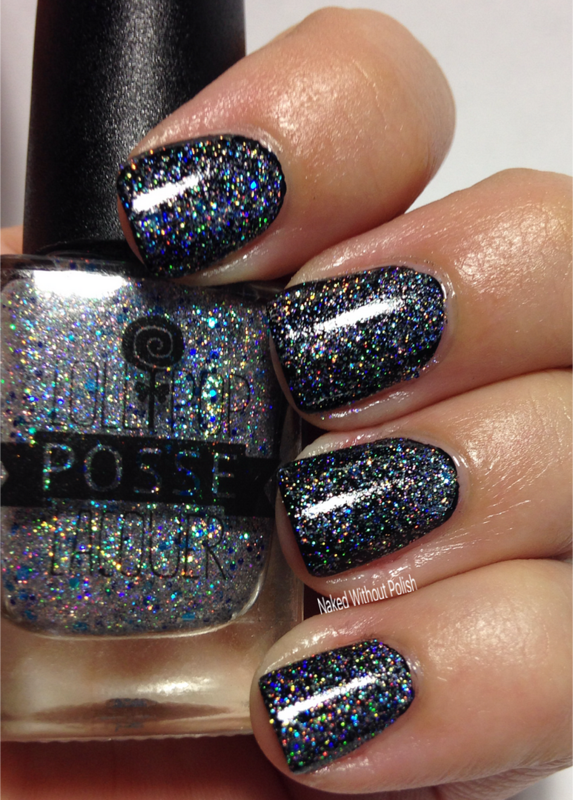 Licorice Drops and Jelly Roll is a dark, seductive beauty. 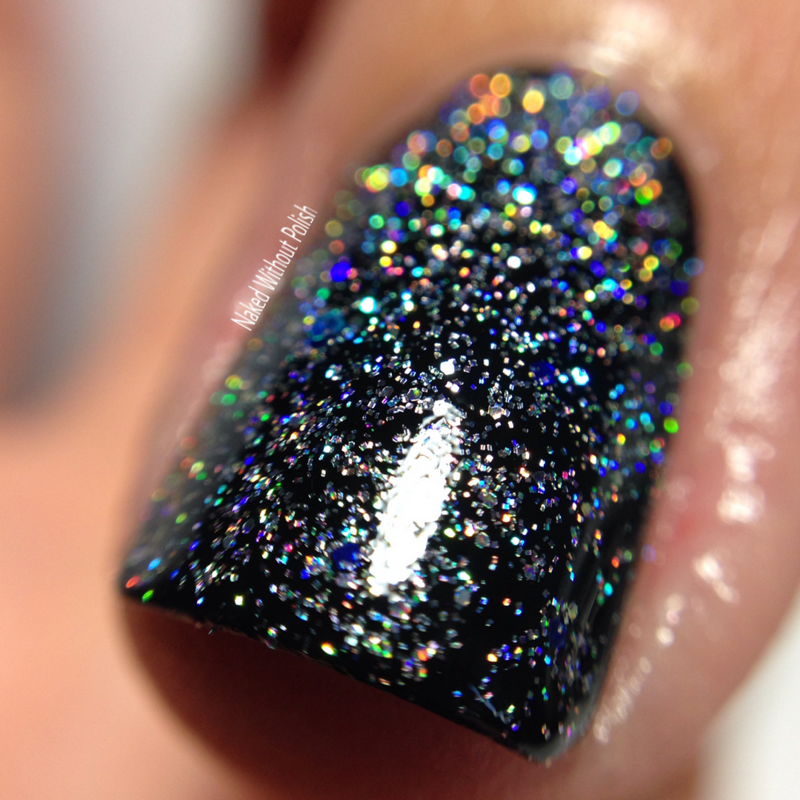 No holo in this one, but it will draw you in anyway. Two smooth coats for full opacity. Midnight Checkout Queen is named after a line in the song Wig in a Box. 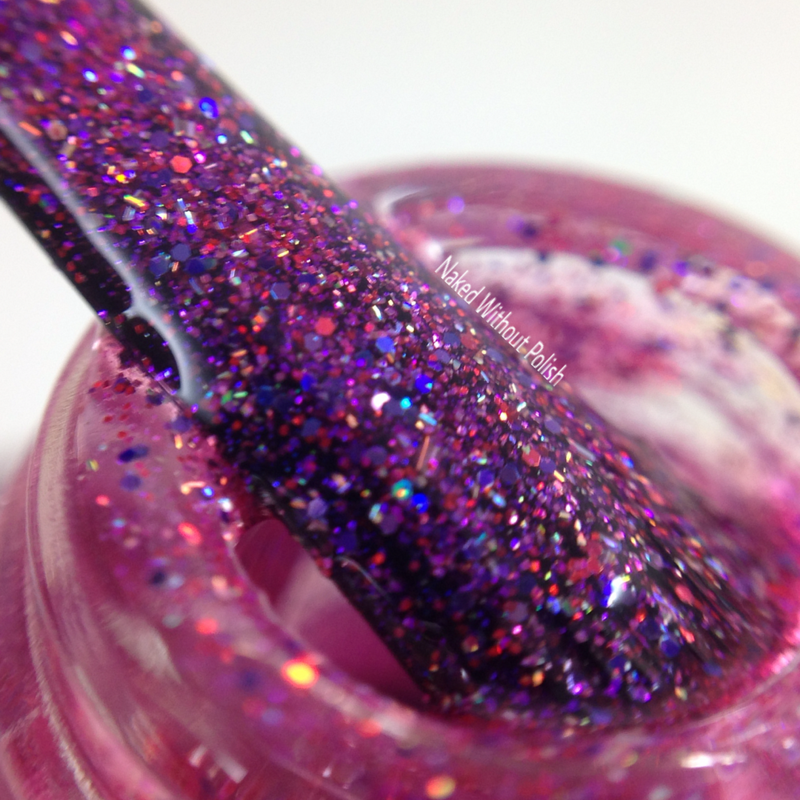 Midnight Checkout Queen is described as "a magenta-leaning pink base filled with holographic micro flakies, and purple and cherry holographic glitters ranging from micro to small hex, it also has a red to purple shifting shimmer". 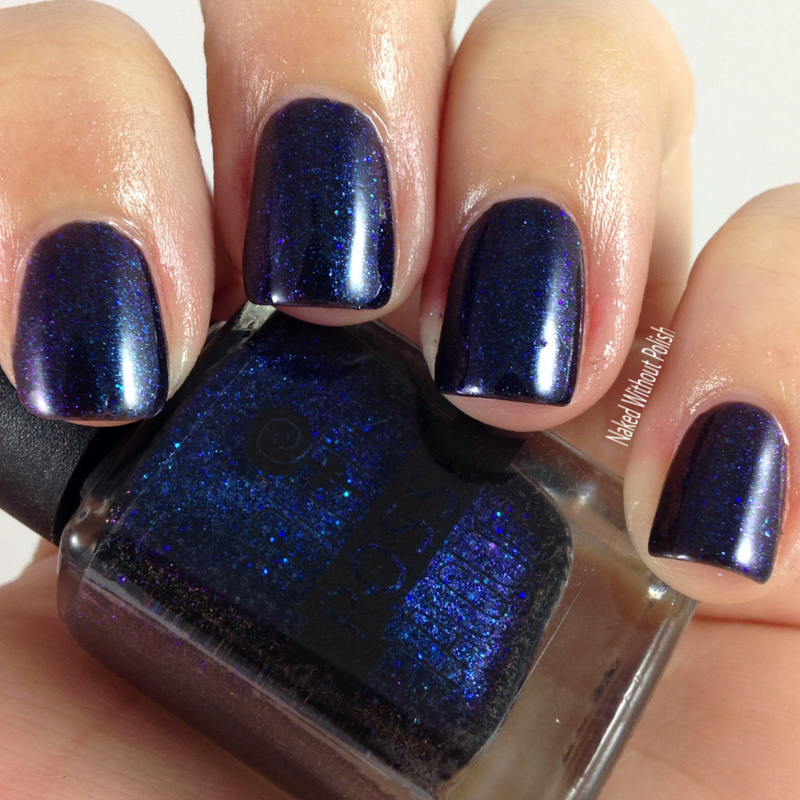 Shown is three coats of Midnight Checkout Queen with top coat. 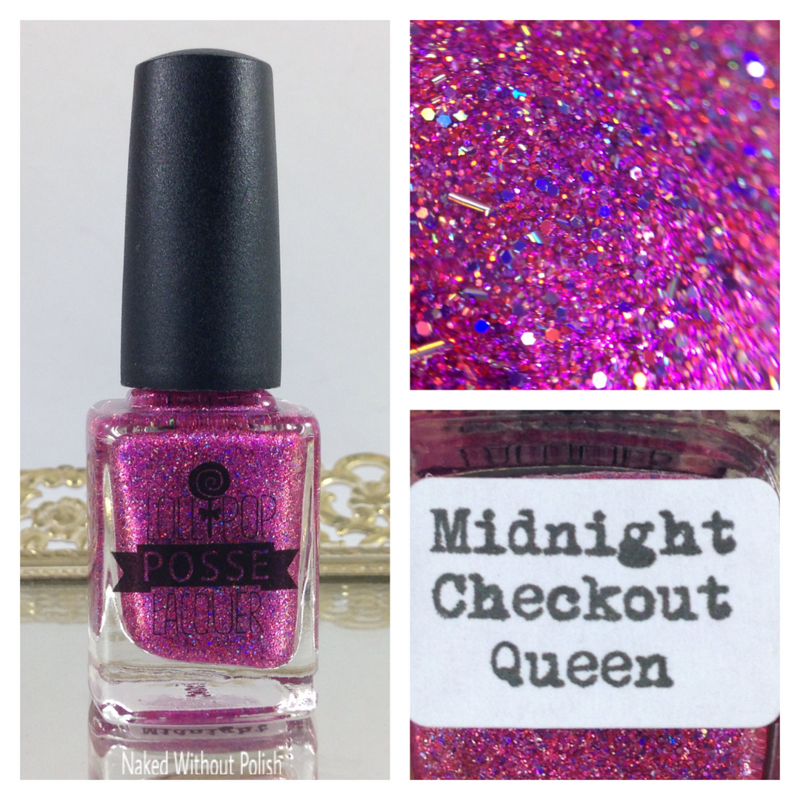 Midnight Checkout Queen is the perfect shade of pink to match the wording on the cast recording cover. 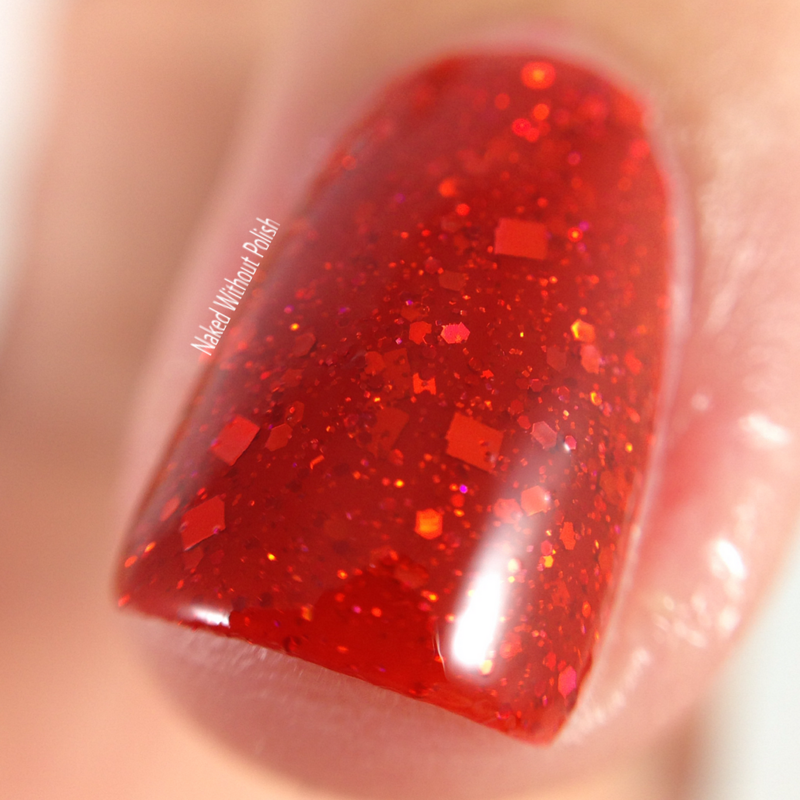 It may or may not have been the inspiration for this polish, but in my mind it was. 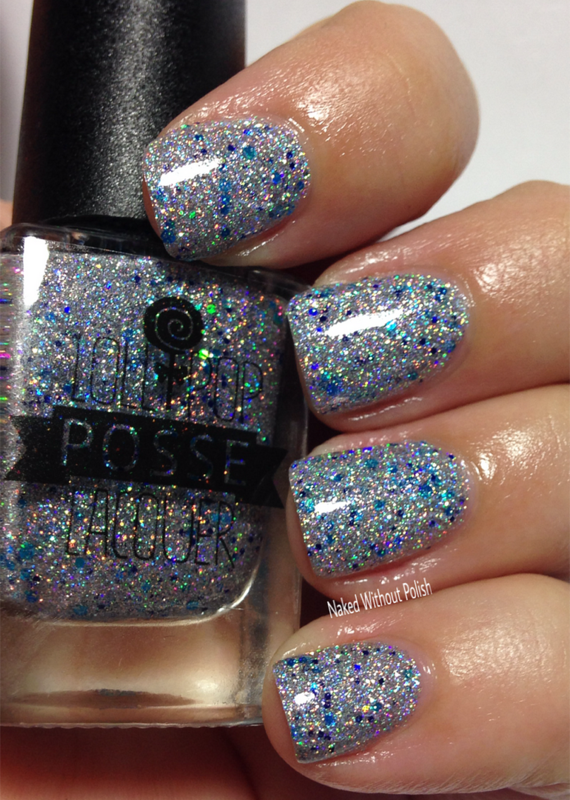 This beauty is full of so much glitter you won't be able to do anything but grin from ear to ear. Decent application considering it is full of glitter. No issues. The Stranger is Always You is named after a line in the song Wicked Little Town. 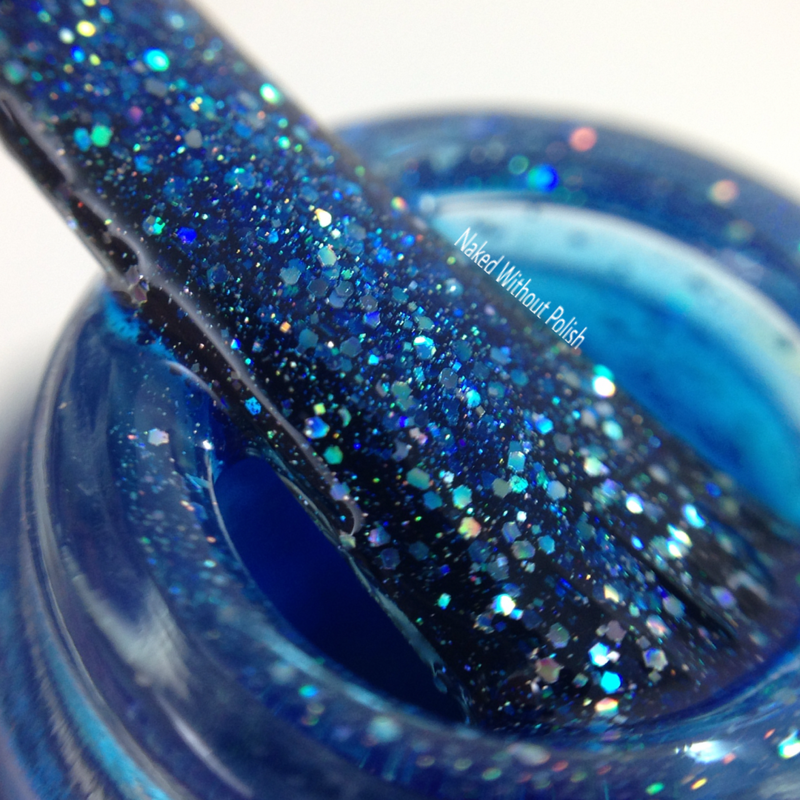 The Stranger is Always You is described as "a chocolatey-brown base packed full of micro flakies in blue, pink, and aqua, and shimmer". Shown is two coats of The Stranger is Always You with top coat. 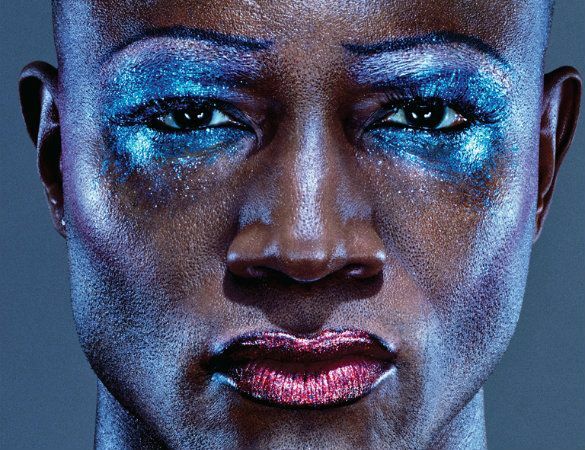 The Stranger is Always You is Taye Diggs as Hedwig in a bottle. Be prepared to swoon over this one. I fell head over heels in love! 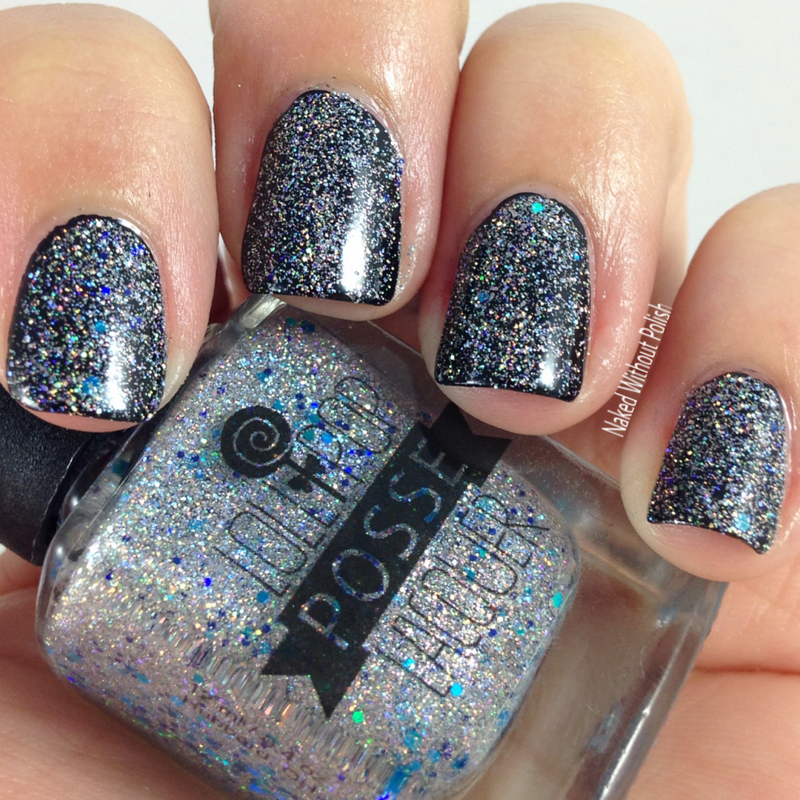 If you're a lover of all things Taye (especially Rent and Private Practice) you need this polish! I really wish they did cast recordings with all the different Hedwigs. It would be great to listen to all the variations. 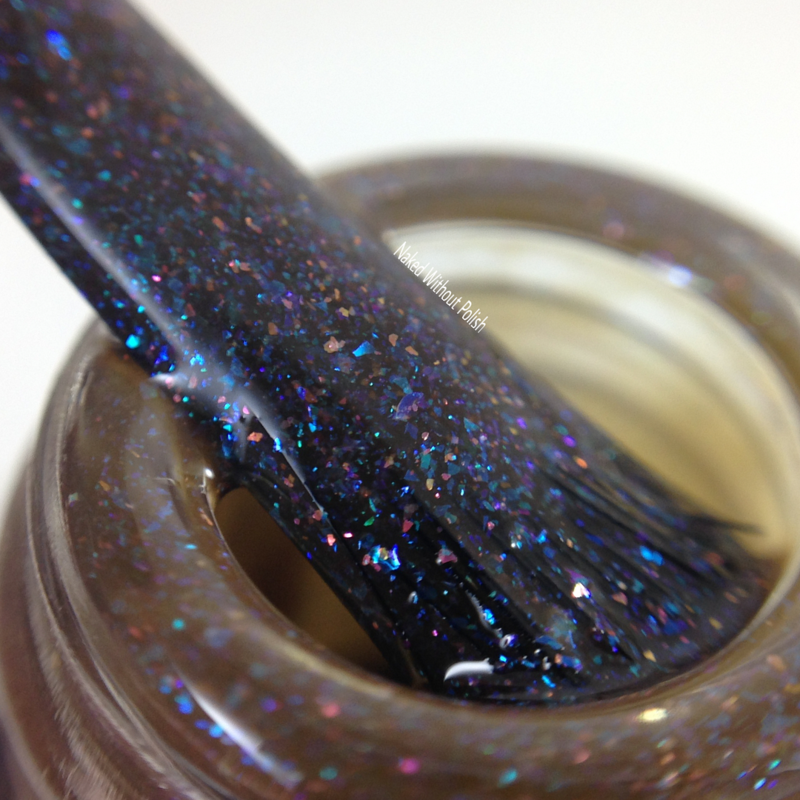 Whether you like brown polishes or not, this milk chocolate creation will convert you for sure. Smooth application and opaque in 2 coats. Time Collapses, Space Warps is named after a line in the song Exquisite Corpse. 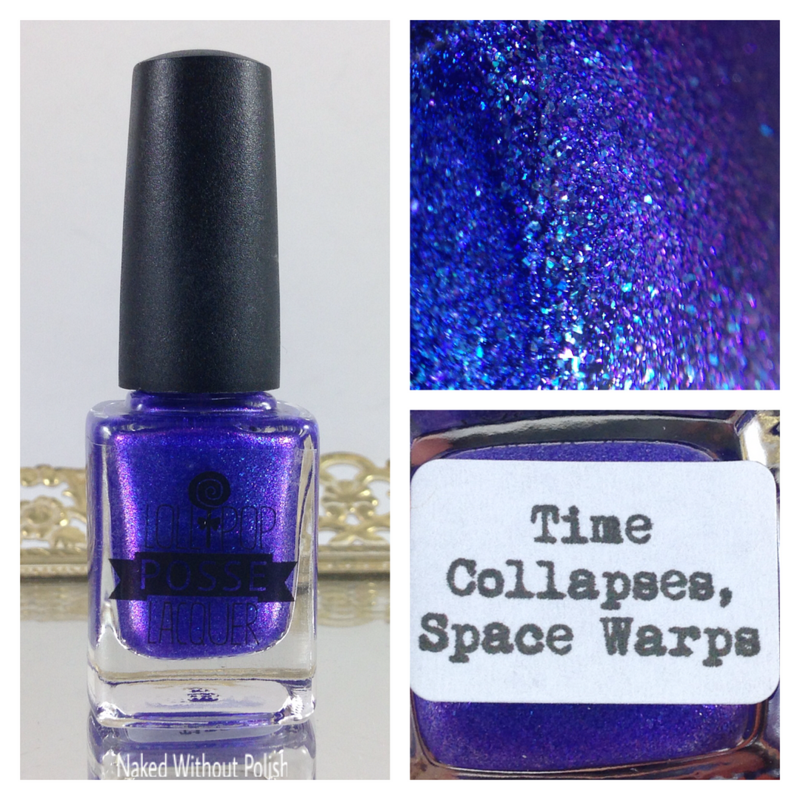 Time Collapses, Space Warps is described as "an indigo tinted base filled with small flakies that shift from purple to blue, and blue shifting shimmer". 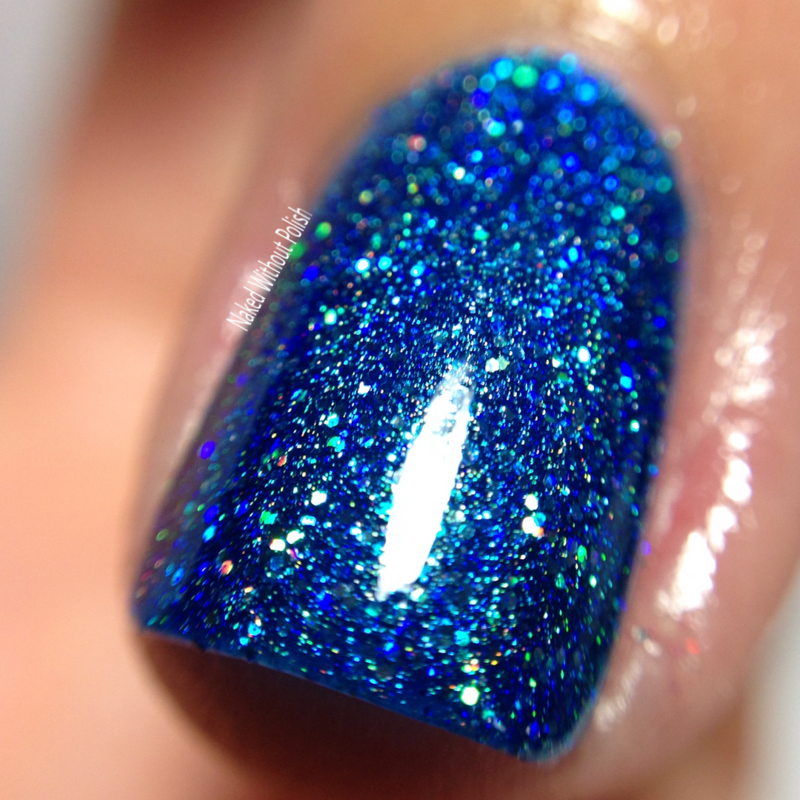 Shown is two coats of Time Collapses, Space Warps with top coat. Time Collapses, Space Warps is what dreams are made of. 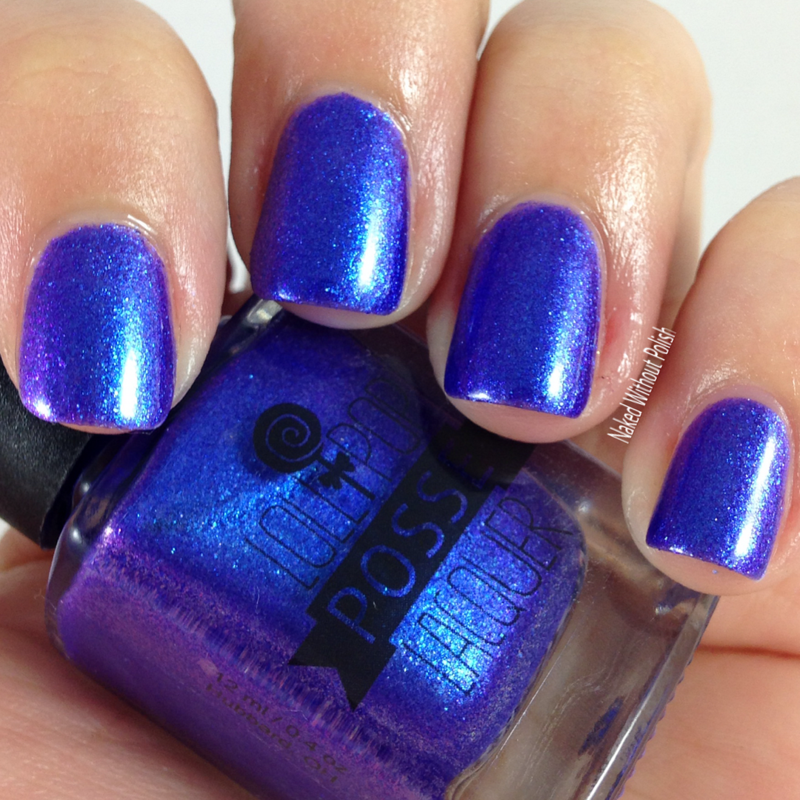 This blurple beauty has such an incredibly smooth formula and application. 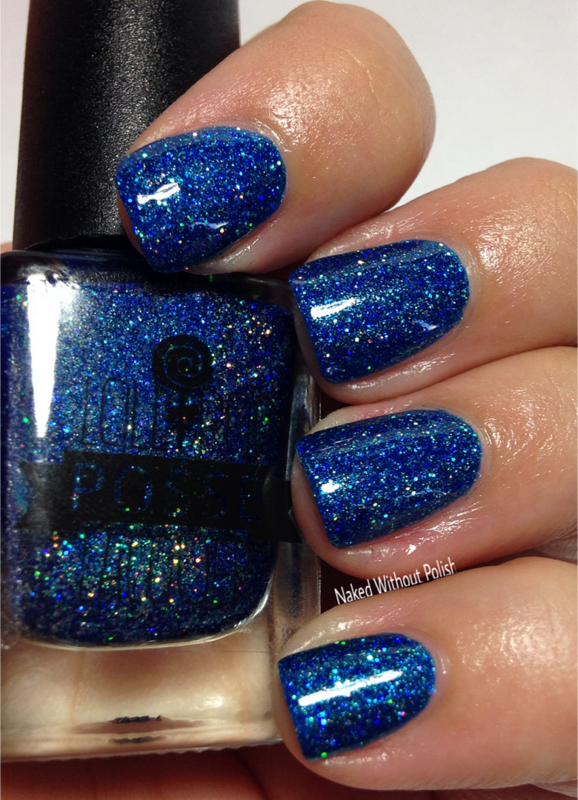 The color is vibrant and the flashes of blue are glorious! A Transmission on the Midnight Radio is named after a line in the song Midnight Radio. 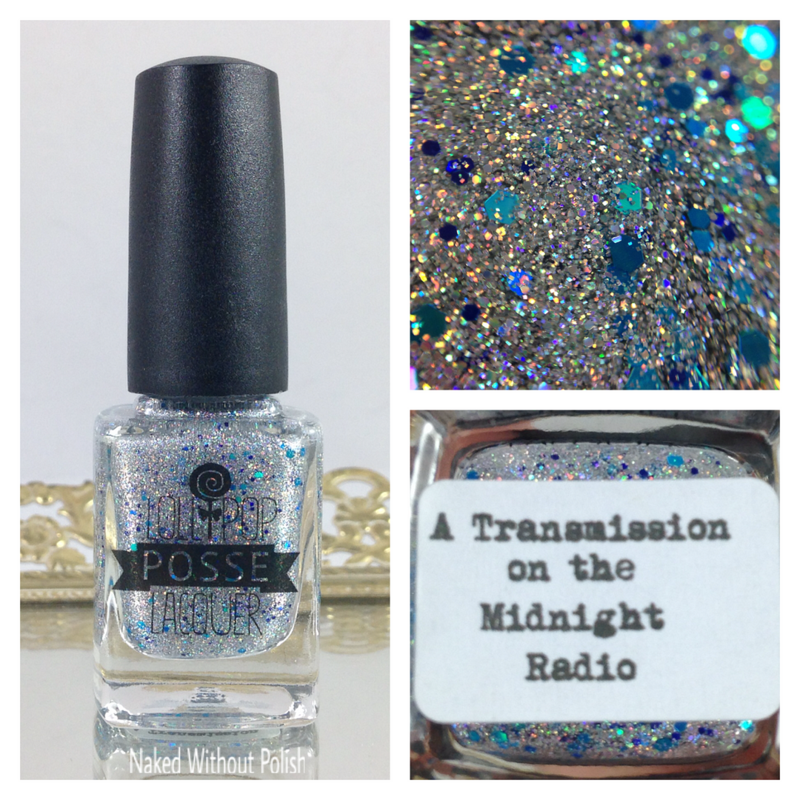 A Transmission on the Midnight Radio is described as "a clear base packed full of silver holographic micro glitter, holographic sapphire glitter, and ocean blue holographic glitter in multiple sizes". 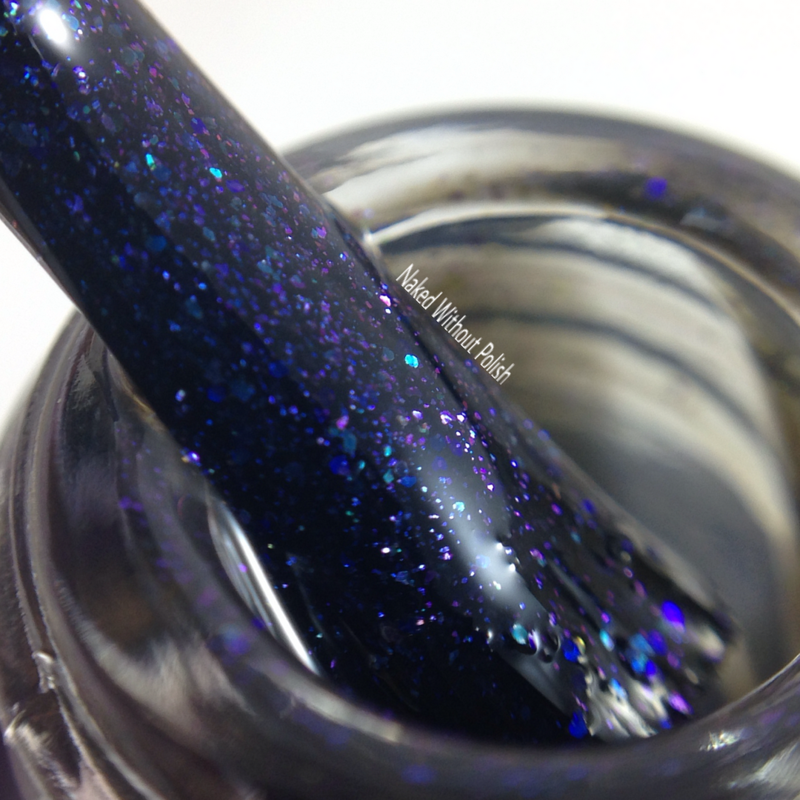 Shown is three coats of A Transmission on the Midnight Radio with top coat. A Transmission on the Midnight Radio is that basic silver and blue topper times 100. She took something basic and made it extraordinary. It does have a thicker formula so be patient with the dry time. 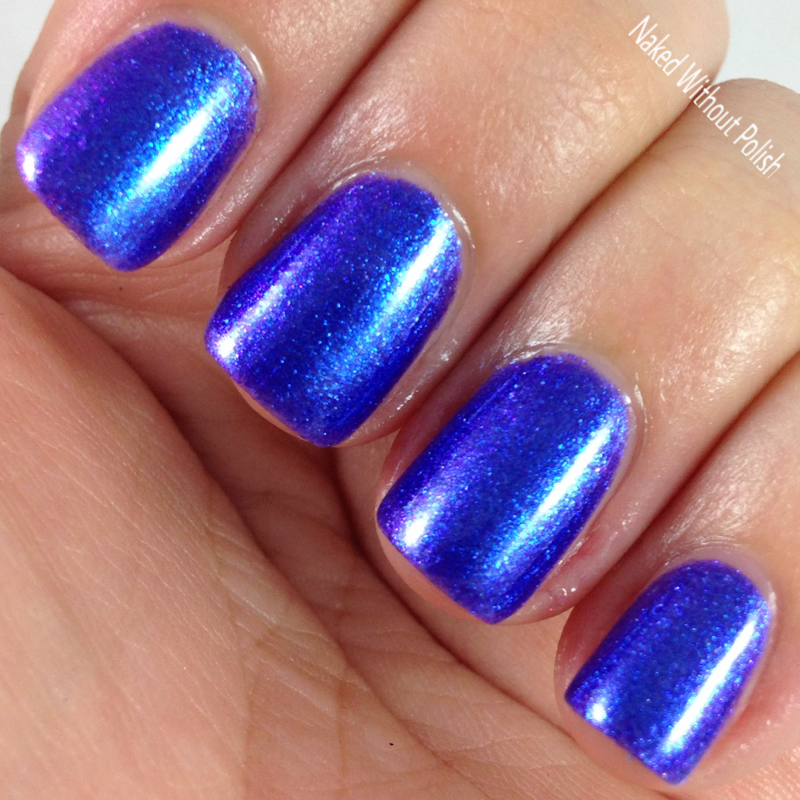 However, 3 coats is perfection! You can use it as a topper too (pics below) but it is packed with glitter so don't expect much of your undies to show through. 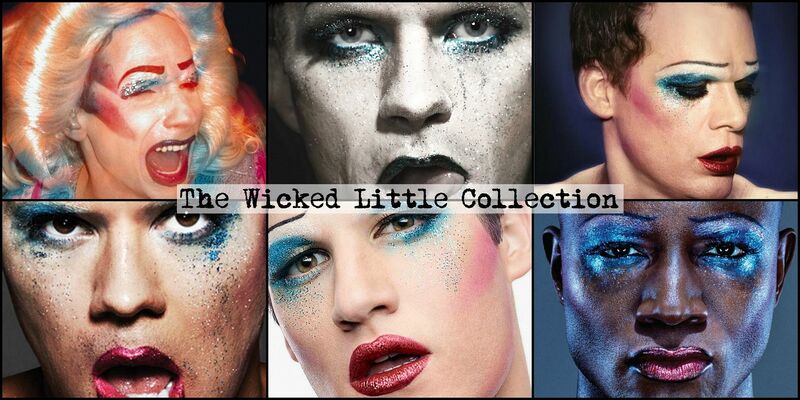 The Wicked Little Collection is absolutely stunning! DO NOT miss out on this set of seven sparklers! Whether you're familiar with the inspiration or not, I dare you to not fall in love with these. 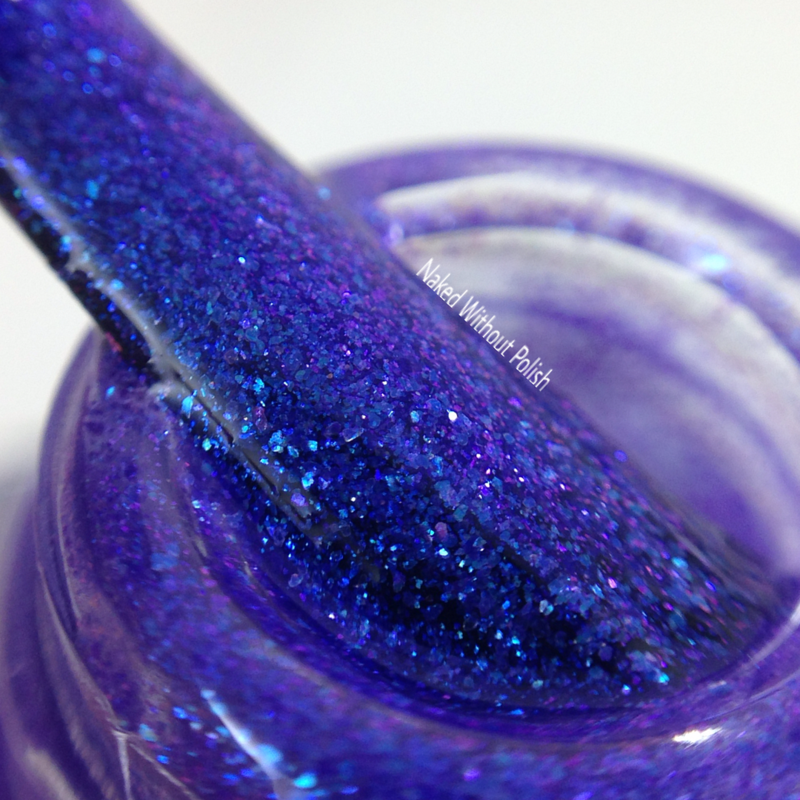 The Wicked Little Collection will be available to purchase on Sunday, April 17th at noon EST at Lollipop Posse Lacquer. The whole collection will be $69 (with free US shipping and discounted International shipping), or snag them individually for $9.50 - $12. 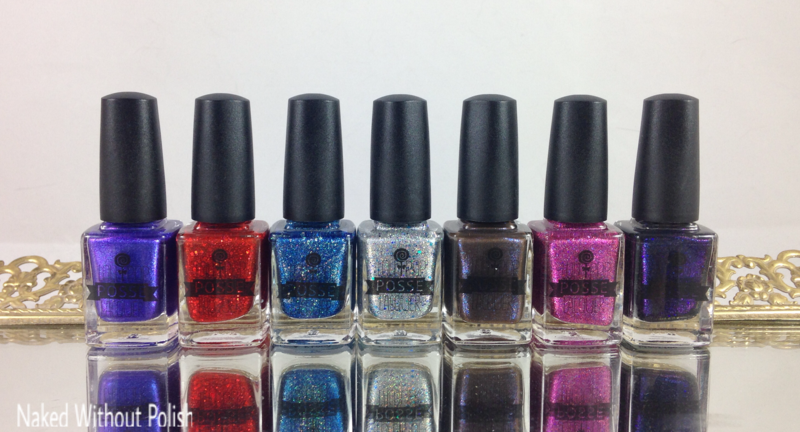 Make sure you're following Lollipop Posse Lacquer's social media platforms (links below) to stay updated on news, sales, and releases. Will you be getting any of these? Which ones called out to you?